Mark Reinhart: Good morning, America. It’s now 12 noon in Salamanca, Spain. In a short time, world leaders from over 150 countries meet here in Plaza Mayor to sign up to President Ashton’s bold new counterterrorist strategy. Since 9/11, more than 4500 people have been killed in the rising tide of global terror. Those lives will not soon be forgotten as today, the world comes together to take a stand against this violence. We may be on the brink of a historic agreement between Western and Arab leaders. Security services are on high alert in Salamanca, where we now go live to our news team on the ground and our reporter Angie Jones. For this review I had no idea what movie to talk about. So in an attempt to decide, I took a look at our blog and noticed that we hadn’t reviewed any movies starting with the letter ‘V’. My first thought was to review V for Vendetta, a favorite of mine and a movie that everyone should watch in eleven days. But then I looked through my collection and spotted a film that I hadn’t seen in quite a while. 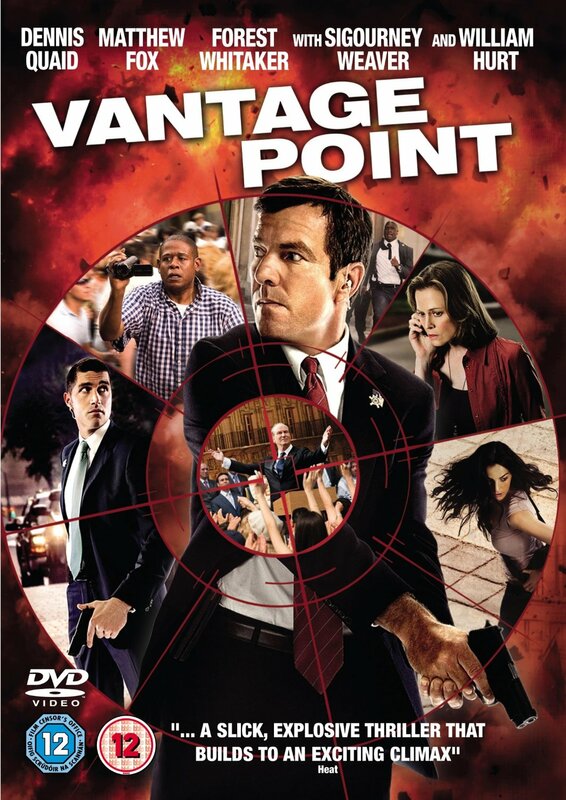 Vantage Point is your typical action movie, explosions, car chases, and shootouts; however it has a unique storytelling style that sets it apart from the genre. In the first nine minutes the entire story is laid out. After setting up the premise, we get taken back to the beginning and are shown the same events from a new perspective with some additional details added. 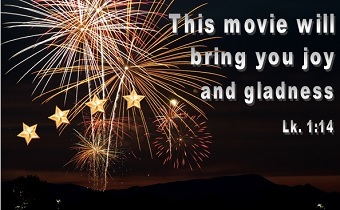 After setting up the premise the movie takes you through six “Vantage points”, hence the name of the movie. The first five only last about 10 minutes each and in the last vantage point, the antagonist is revealed and all the other story lines are brought together. The story takes place in Salamanca, Spain; where many of the worlds leaders have come together to discuss the global threat of terrorism. 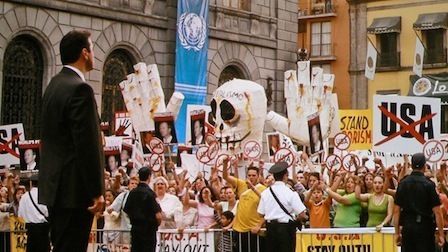 During this summit, the President of the United States address the people in a public square. Just as he takes the podium, two shots are fired both hitting him in the chest. As the president collapses, chaos ensues. People scatter, the secret service move the president to safety, and then the stage explodes. Time to rewind and restart. This time we see all the events again from the perspective of the newscasters (at the 9 minute mark), then the secret service (23 min. ), after that a undercover cop (31 min. ), then an American tourist (43 min. ), and finally President Ashton (52 min.). Each new “vantage point”, reveals more of the story and more about the protagonist. At the hour mark the bad guy is revealed and we begin to discover how it was done and who was actually involved. 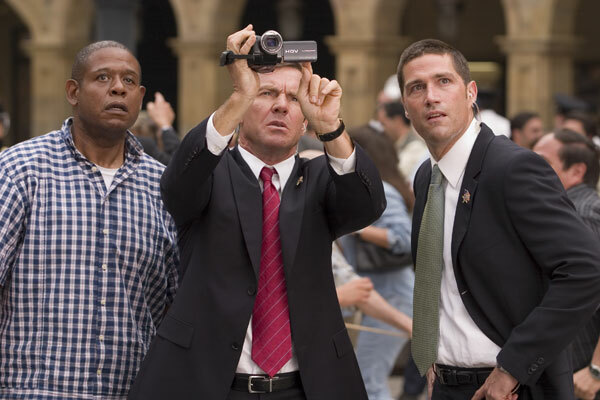 Thomas Barnes(Dennis Quaid) is one of the secret service agents assigned to protect the president. A year prior to these events he was shot while protecting the POTUS. This is his first assignment in a year and you can tell he is a little more on edge than the other agents. Some of the other agents joke about whether he is ready for a new assignment, but by the end of the movie he proves his readiness. Life is full of difficult times, many of us live through failures, traumatic experiences and sometimes these cause us to avoid similar experiences. I was driving past some construction the other day and somehow ran over a spike. After getting the tire fixed my first inclination was to not drive that way again. However, we can’t live in fear that the past will repeat itself. Instead we need to trust in God, realizing that whatever life throws at us, He will be there with us through it. 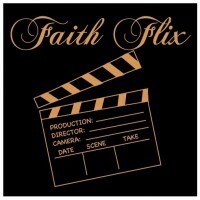 This is not a long movie, the credits roll at 1 hr 23 minutes. However, I think this is a good thing due to the story telling style. I thought seeing the same scenes over and over would get old, but they do a good job of mixing up old scenes with new ones. The cast is top notch and does a great job of playing their characters. Overall this is a great movie that will keep your attention till the end. My only real complaint is the end, I won’t give it away, but I didn’t care for how it concluded. It’s not very believable. However, I really liked how the movie skipped around to different characters and storylines. I was engaged the entire time, trying to put all the plot pieces together. I’d give Vantage Point, 3.5 stars, but we only review with whole numbers so it gets a 4. Thanks for reading. It has a gimmick, but it’s one that actually worked and made it interesting to see what would happen next. Good review. Yeah, it’s definitely a gimmick and would probably get old real quick if other movies started using it. Glad you liked it. Thanks for posting!